Thomas Rhett hosts the annual three-hour CMA Fest special for the second year in a row tonight, along with his pal Kelsea Ballerini. There's arguably no other current artist more qualified to lead one of country's biggest nights, since Rhett's been attending the Nashville fan festival for more than twenty years. The "Life Changes" hitmaker struggled to pinpoint the first year he came, but said it's "probably since like 1996, I would say." "When my dad was singing, they called it Fan Fair, and then changed into CMA Fest," he said. "I've been coming to this thing as a fan for as long as I can remember." "I was trying to find the cheapest seats possible to get in, in high school and in college," Rhett remembers. "And now to be hosting and playing at it, is just kinda strange and awesome at the same time." In fact, the artists he said he used to pay to see are now his contemporaries. "Eric Church, [Jason] Aldean," he said, recalling the highlights of his years attending CMA Fest as a fan. "This is like when they were just getting going, when Luke [Bryan] had nothing but 'Country Man' on the radio." "I've been coming to it for a long time and now that I get to call my idols my friends, it's coming full circle, you know," Rhett told ABC News. 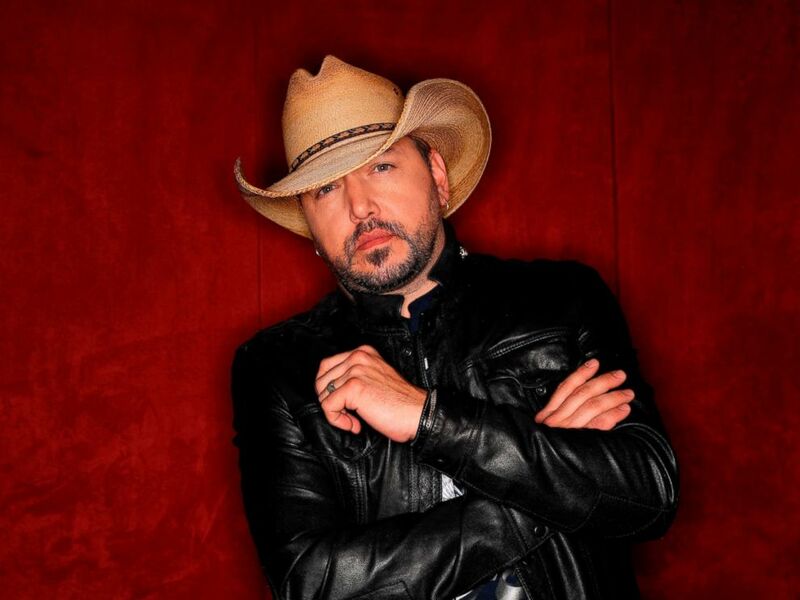 Country music singer Jason Aldean poses in Nashville, Tenn., to promote his eighth studio album "Rearview Town," March 19, 2018. Fans will also get to see Jason Aldean step onstage at Nashville's Nissan Stadium and perform his most recent #1, "You Make It Easy," during the special. Like Rhett, he also came years ago as a fan. "I went to Fan Fair when it was still over at the fairgrounds," Aldean said. "It's just like this little small stage ... and to come over here and play the stadium now and see what that has all turned into is pretty unbelievable." Aldean may be the ACM Entertainer of the Year now but back then, he was just a fan experiencing his first brush with greatness. "It was like George Strait, Tracy Lawrence was a big one for me, Alabama was my Beatles," he told ABC Radio. "Travis Tritt, those guys... It's like, 'That's Mark Collie!'... Just meeting anybody back then was just so cool." The "Drowns the Whiskey" hitmaker believes the growth of CMA Fest is simply a testament to the devotion of the fans. "We went from playing a little racetrack," he said. "Now we're here inside this stadium... And all these thousands of people that come to town." "It just goes to show you how great country music fans are and how much they support their favorite artists," Rhett added. "I don't think you find that in any other kind of music." Watch for Jason on the CMA Fest special starting tonight at 8 p.m. ET on ABC.